These photos feature a truly unique install of the Grand Illusions Color Spectrum. 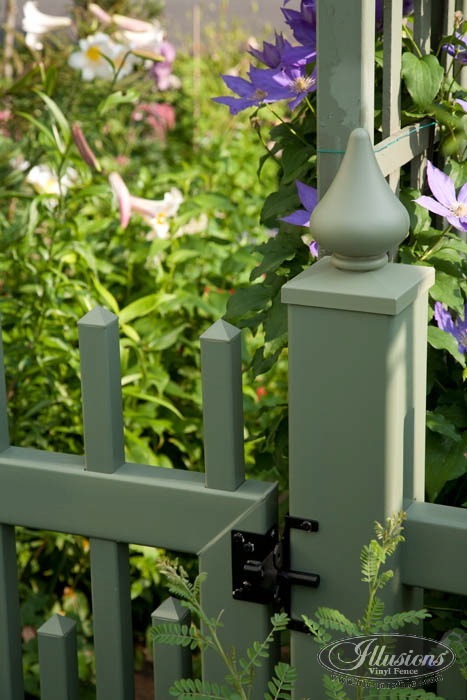 The fence style is a V703-4 Alternating Classic Victorian Picket Fence. They created a very cool accent gate by using a V703S (Scalloped lower pickets) Styled Uni-Weld Walk Gate. The Grand Illusions Evergreen (E106) color was a perfect match to the painted wood pergola the homeowner had in place. 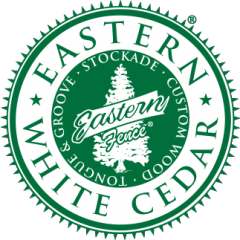 One of the ideas behind the matte finish Grand Illusions Color Spectrum is to create the look of a traditional painted wood fence without the maintenance. 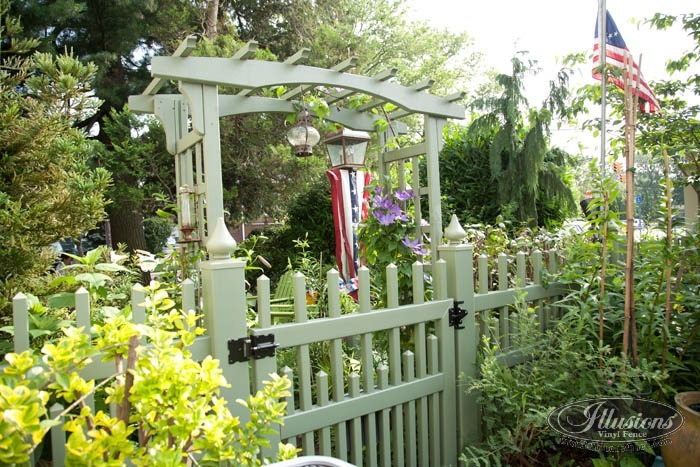 Seeing the color vinyl fence next to the painted pergola, you can see that the look has definitely been achieved!